Hannah, like me, is Catholic - and we celebrate a Christmas season. This season is almost 2 weeks long. It goes from Christmas Day to the Epiphany (or to the Baptism of Jesus) - so either Jan. 6th or Jan. 8th. The 12 days of Christmas traditionally cover Dec. 26th through Jan. 6th. 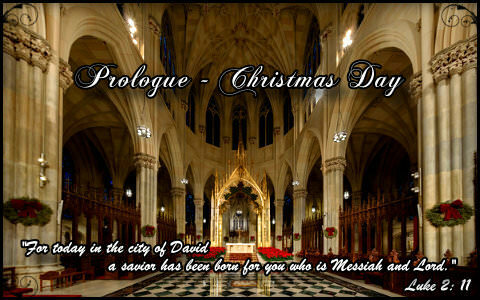 So in that spirit, I'm going to be working on a Christmas fic to follow our Advent. I'm not going to promise a chapter a day because this is a crazy time of year, but I'm going to try and have the fic itself done by the 6th. Please be patient with me if it's not. People leaving Mass paused to listen as they sang, but her attention focused on her dad. He stood at the front of the crowd with his phone out. She hoped he was recording her, not keeping someone awake with a live performance. Granted, some of the family who should be sleeping were probably still up, but that was beside the point. It had been a wonderful day. Good Christian men rejoice, with heart and soul and voice! Give ye heed to what we say. “See you in a couple of hours, sweetheart.” Brian hugged, snagging his grandson as he did so. He and Natasha left the room before she had any chance to argue. “Let your dad take you,” Marina told her. Good Christian men rejoice, with heart and soul and voice. Now ye need not fear the grave:. And that had been the final word on that. So now she stood in the cold, cold wind, singing to the parishioners as they made their way out of the church towards cars, cabs, or subways. The surrounding crowd applauded as they finished their first song. Caught on the spot, she could only nod in agreement. “Cheater,” she hissed as she came to the front of the group. Not that the director seemed to care - the man just offered her a broad smile. She glanced around the crowd before locking eyes with Brian. Okay, maybe she hadn’t planned on doing a solo, but she’d sung for crowds before . . . though not in a long while. Never mind that - right now she could settle some of her nerves by singing to her dad. Singing would never be her life’s ambition like it was Rachel’s, but Hannah couldn’t deny that she felt energized by the applause at the end of her solo. A light flush darkened her cheeks as she exchanged a last Christmas greeting with the choir members before rejoining Brian at the base of the stairs. And not a single clap, not one word of admiration brought her even the tiniest fraction of the warmth she felt at her dad’s quiet word. She fell into sleep, a quiet happiness filling her dreams. There would be no nightmares tonight. Later that morning, Hannah’s shoulders shook with quiet laughter as she watched people munching on their sweets. She might have become accustomed to living in Stark Tower with all of its private amenities, but she wouldn’t let anyone help her when it came to Christmas presents. Doing odd jobs for Pepper meant she could afford more expensive gifts, but she preferred to make most of the presents herself. Any free time over the past few days had been spent in her kitchen - measuring, mixing, baking, and sealing up the finished products for this morning. Her gifts proved to be a great success from the looks of it. They wouldn’t last the day at this rate. And if people didn’t slow down, they would make themselves sick. Not to mention ruining their appetites for Christmas dinner. “Maybe too well,” she laughed. “Thank you!” Hannah took the flat box from her aunt with a joyful smile. A small part of her mind reminded her not to overreact if they went a little overboard. That thought almost made her giggle. Will and Marina go overboard? Perish the thought. Yeah, right, she thought. She adored her uncle and aunt, but they spoiled everyone and seemed to take it almost as an affront that they hadn’t gotten to spoil her or Benji from day one. “Is that a good ‘Oh’ or a bad one?” Will asked as he came to stand beside them. “You’re making me look bad,” Brian called out in a good-natured grumble. “Yeah, we . . . kinda did,” Dean admitted, mouth pulling up into a crooked grin. Before she could make any kind of reply, the elevator door opened and she heard a loud bark. Ethan’s mutter caused her lips to twitch, but she remained still. It took him a minute or so to take her measure. Then he began moving towards her, circling as much as the leash would allow. She’d prefer to do this with him off the leash . . . but with all the kids around, that could be a bad idea. He already seemed a little nervous - even though most of the crowd stayed back, giving them plenty of room. At her soft-spoken words, he picked up the pace. He sniffed at her hand for a moment and then nudged it with his nose. “I love this girl,” Marina announced, causing Will to chuckle. “What are you going to name him?” Natasha asked. Her cousin started to snicker, drawing all eyes to him. The snickering dissolved into laughter when she turned to him wearing her own smirk. Everyone watched him, their gazes flickering between the two of them as he fought to regain control. It took a few minutes, but he managed at last. “You are definitely Brian’s daughter,” Sam informed her. "You would know, Marishka, you gave it to me." 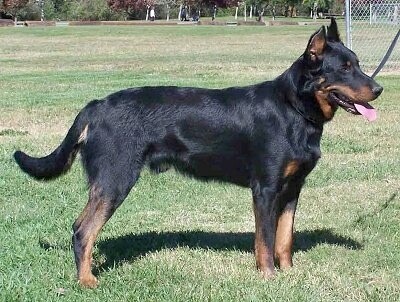 "That just means I have good taste, Misha.” She smiled down at the dog. “It's a lovely name, Hannah. Do you plan to shorten it or anything?" "I'm never going to hear the end of this," Will sighed. He gave his chortling brothers an exasperated glare, but the expression turned fond as he turned it on Hannah. "I'm not sure whether to be flattered or not." "She chose to name her protector after you," his partner reminded him. "It's an excellent choice." "All right, all right." He gave them both a slight smile. "Then I'm flattered." "I'm glad," Hannah told him, "because I agree with Marina." She rose, her hand holding the leash as she turned to him. Brushing a kiss over his cheek, she murmured, "Te quiero, Tío." His own voice stayed low, too low to be heard by anyone other than her, Marina, and Owen. "Ya tozhe tebya lyublyu, lebedyashka." Ya tozhe tebya lyublyu - I love you too.